Queen Victoria in her wedding attire. This painting by Franz Xaver Winterhalter was commissioned in 1947 as a wedding anniversary gift to Prince Albert. Royal Collection. 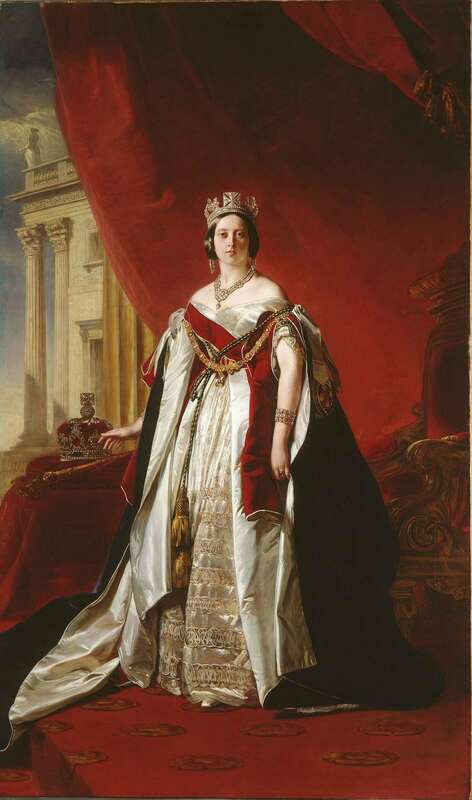 Franz Xaver Winterhalter, Queen Victoria, 1843, oil on canvas. (c) Collection of HM Queen Elizabeth II. Eugene Barilo von Reisberg is a Melbourne-based arts writer, curator, and blogger. His expertise on Franz Xaver Winterhalter (1805-1873), a nineteenth-century German-born international court portraitist, is widely recognised, and he has contributed numerous articles and presented papers on the artist in Australia and internationally. He is currently pursuing a doctoral thesis on the artist at the University of Melbourne. He is visiting to Wellington to take part in the Australian and New Zealand Association of Art History conference being hosted by Victoria University. To book a ticket to ‘So Like & So Beautifully Painted: Portraits of Queen Victoria and Prince Albert by Franz Xaver Winterhalter’ contact the Friends of Te Papa. Unveiled opens the following weekend – tickets are currently on sale through the website. In the meantime I can recommend a visit to The ‘other’ royal weddings, an entertaining and informative blog by Royal Historic Palaces. It includes a video interview with curator Dr Joanna Marschner on Royal wedding dresses through the ages, a post on ‘the worst wedding of all’, and delves into the history of cake! Interesting that she chose to be married in a court dress than the crimson of royalty… I never knew that before.